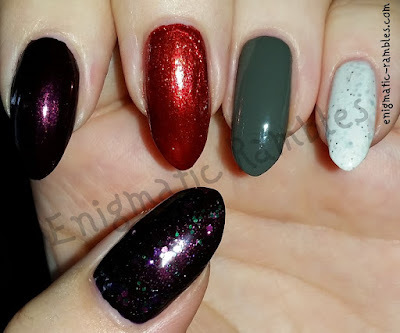 Here are my top five nail polish for autumn 2016, if you are interested you can see the 2016 version, 2015 version, 2014 version and 2013 version. 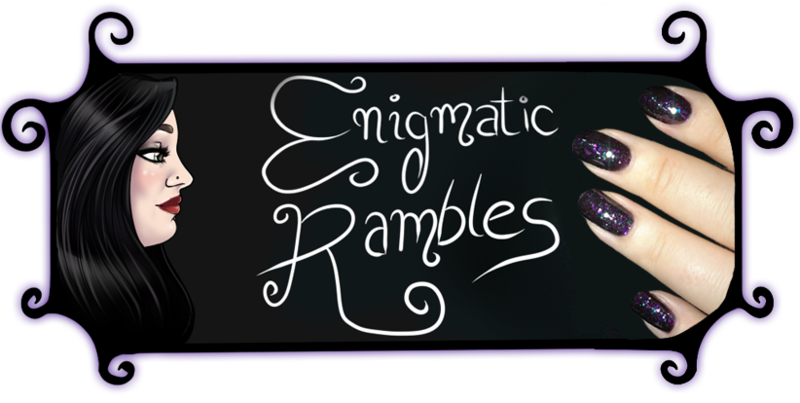 First up is Hare Polish Midsummers Midnight, this is a glitter which can be layered up or worn as a topper. 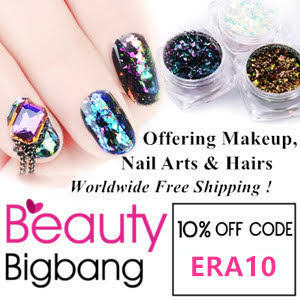 It is a deep purple and green glitter polish in a blackened base. This is good for Halloween, I imagine that any purple or dark glitter would work well for this time of year. 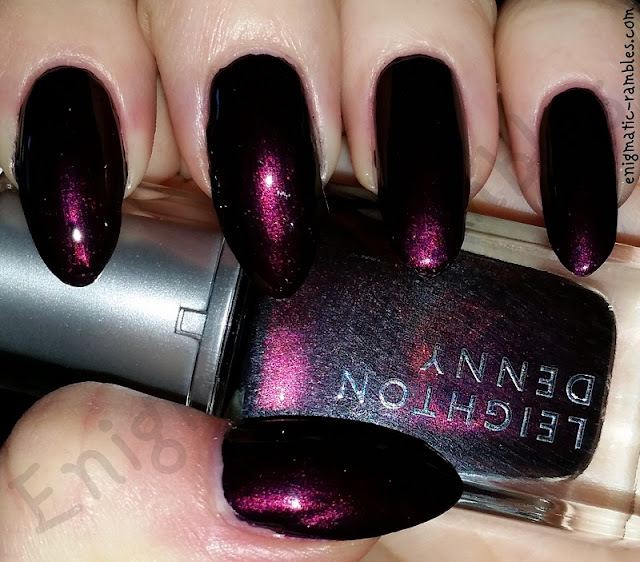 Second is Leighton Denny Blueberry Bloom, a deep maroon shimmer type polish. It is dark with a twist so not as harsh as a straight up black coloured polish. The shimmer in this really makes it stand out. 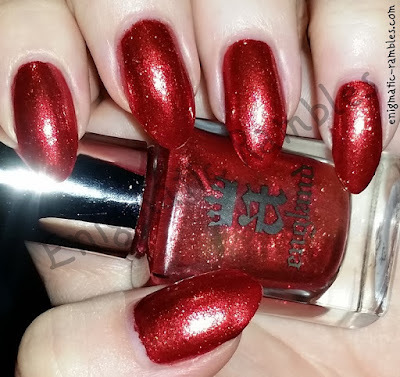 Thirdly is A England Gloriana, a beautiful burnt orange glass flecked shimmer polish. This one is perfect for autumn, as the temperature begins to drop the leaves on the tress begin to change colours and I think this reflects that season change. Great for Halloween too! The forth polish is Nails Inc Hyde Park, a repeat from last years choices, it is a muted cameo green cremé shade. Again it is reflecting the changes in nature at this time of year. 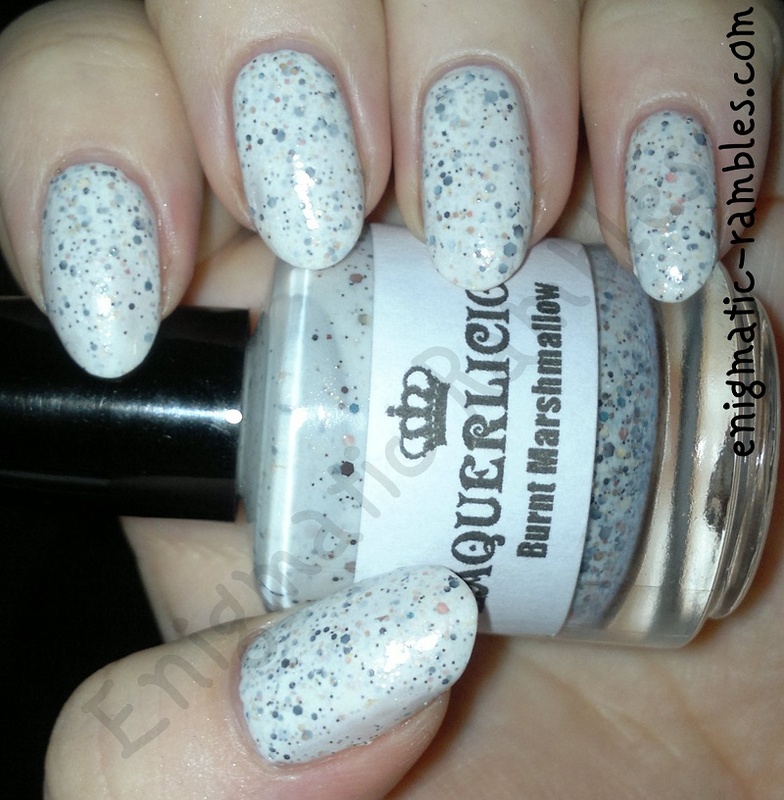 The fifth and final polish I have chosen is Laquerlicious Burnt Marshmallow, the brand is now known as Polish M. Burnt Marshmallow is a milky white base with various sizes and shades of brown, orange and black glitter. I like this for this time of year because while it is white it is also full of darker glitters which are nice for Halloween. The colours in it do remind me of burnt marshmallows. 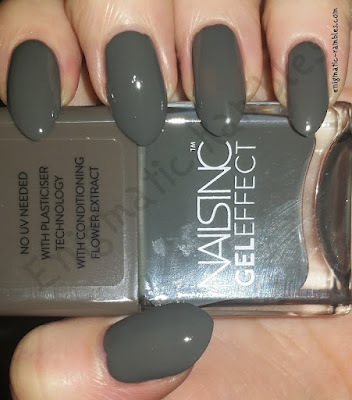 Have you got any favourite polishes for autumn / fall?